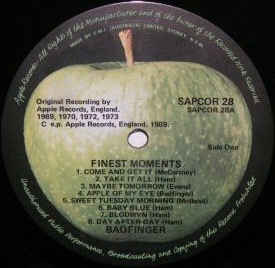 The British online second-hand collectables dealer eil.com has listed for sale one of the scarcest Apple Records vinyl releases. 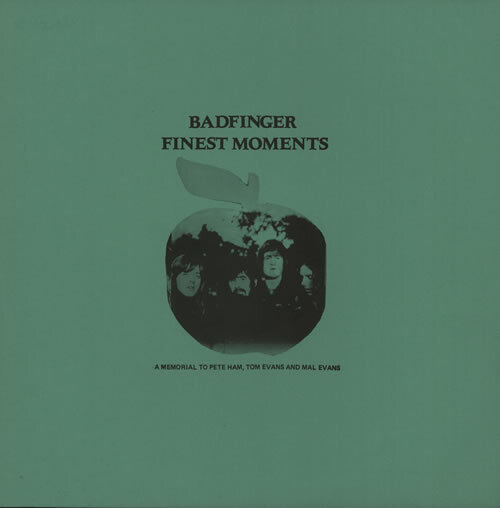 It is a Badfinger LP called Finest Moments. This was a ‘best of’ disc compiled by EMI Australia in 1989. But it seems they didn’t get the correct permissions from head office, and so only ten copies were ever pressed. These were sent out for review purposes. The project was then hastily scrapped and the record withdrawn from their catalogue. The disc, dedicated as ‘A Memorial to Pete Ham, Tom Evans and Mal Evans’, has sixteen tracks. The copy they have for sale (for a cool £1,995.00, or $3,271.00 Australian) reportedly comes from a former EMI senior executive and has the catalogue number SAPCOR 28.
eil.com says: “Because of ongoing legal problems that Apple were having at the time, the project was scrapped even before any sleeves were printed, just a 12″ insert on green paper [was included].” Presumably they got that part of the story from the EMI executive who owned the record. The Applelog Book says that the song ‘Without You’ is incorrectly titled as ‘I Can’t Live (If Living Is Without You)’. 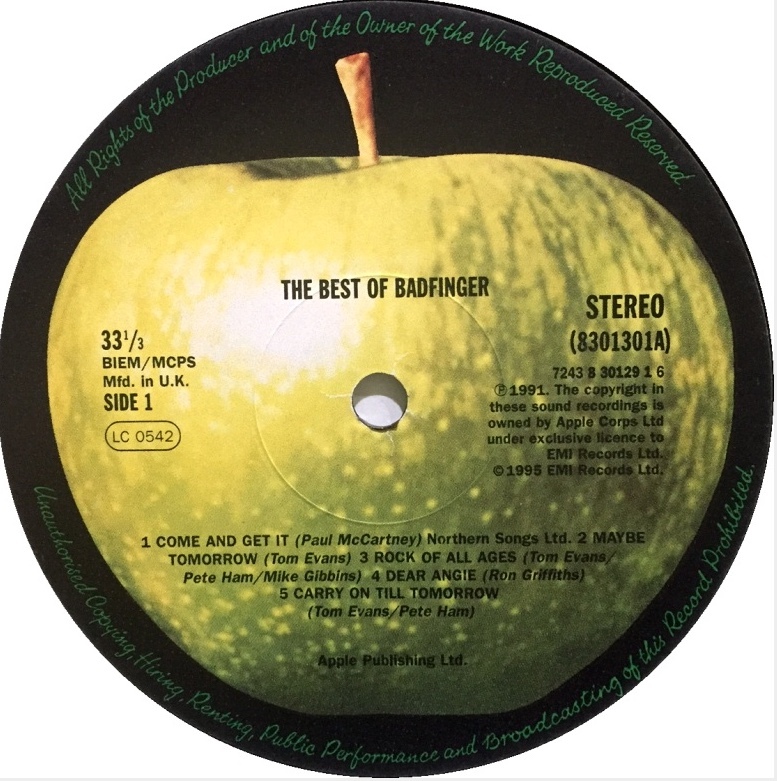 Interestingly that same catalogue number (SAPCOR 28) was later utilised by Apple for a different Best Of Badfinger double LP (and single-disc CD) that it officially released in 1995: The great site The Worldwide Apple Records Discography has some more (small) images of the Finest Moments LP if you are interested. 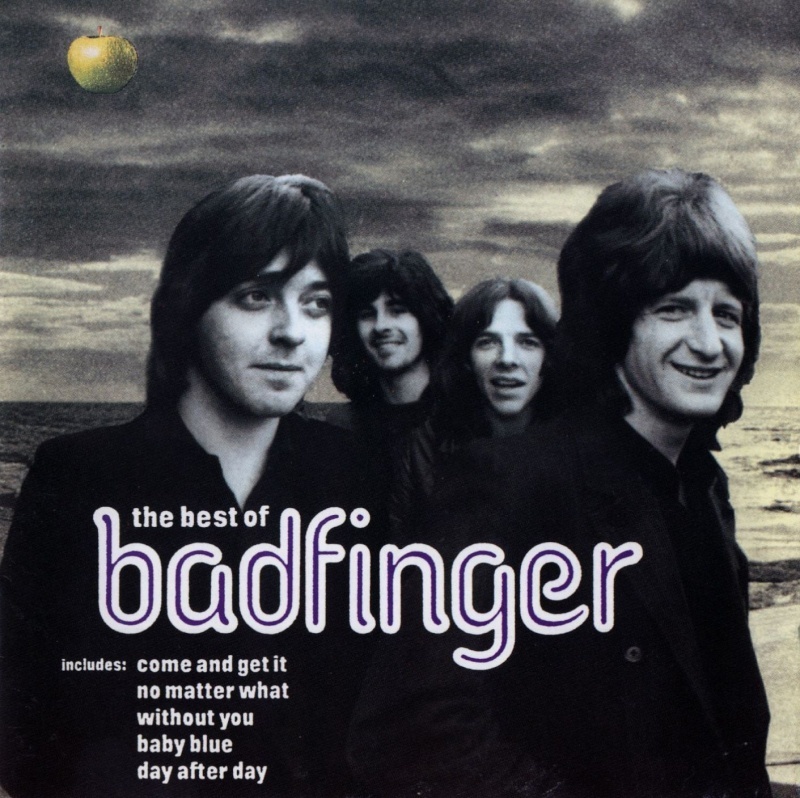 This entry was posted in Apple, Apple Records, Badfinger, Beatles Collecting and tagged Apple Records, Badfinger, Beatles Collecting, Finest Moments, Music, Rare by beatlesblogger. Bookmark the permalink.